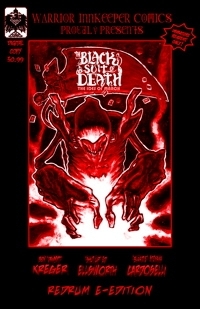 A few years ago, at a FCBD event at my LCS, I first met Benjamin Kreger and was introduced to The Black Suit of Death. I was fortunate enough to pick-up a physical copy of The Black Suit of Death: The Ides of March - Redrum Edition. As many of my loyal readers know, I generally don't read comics any longer. I prefer to read the trade paperbacks that give me an entire story (or sometimes more) than read the once-a-month stories that by the time the next issue is published I have forgotten much of the story. This was an exception. In "The Ides of March", you learn about the origins of the BSD. Kreger and Ed Ellsworth tells the tale in a whimsical fashion with the occasional bit of humor to lighten the mood from the events that transpire. There's even a Star Trek reference that fans will appreciate. The artwork by Stefano Cardoselli help to provide the visual grim theme along with the occasional quip quite well in a black and white medium. It's almost like watching the original Psycho for the first time. You can find BSD: The Ides of March on both Drive Thru Comics and Comixology. 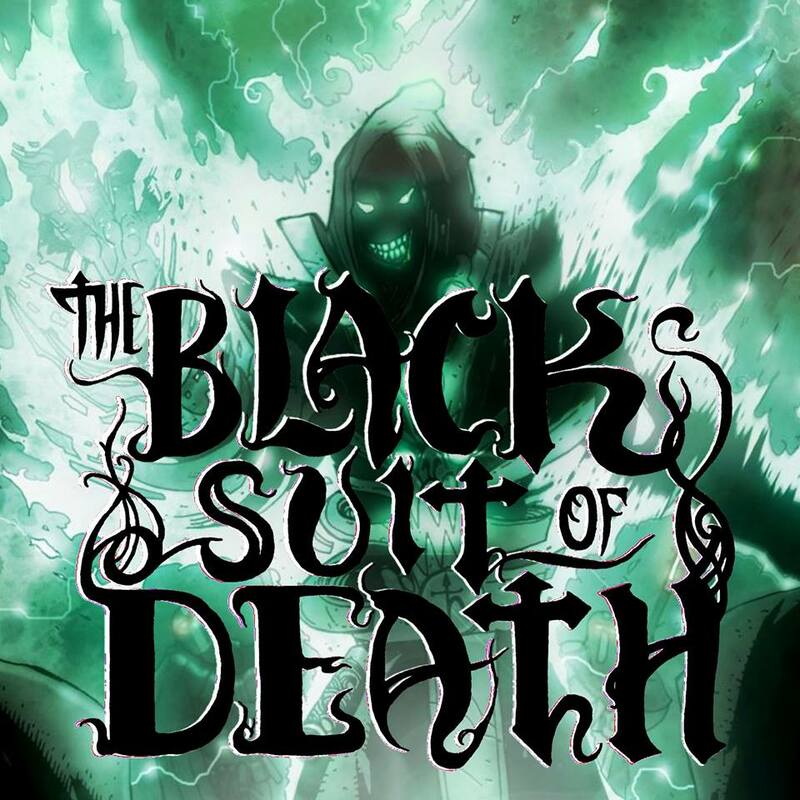 THE BLACK SUIT OF DEATH #1"
In 2015, we have seen the light at the end of the tunnel. Thanks to Kreger's Kickstarter campaign, we should be seeing the continued story. 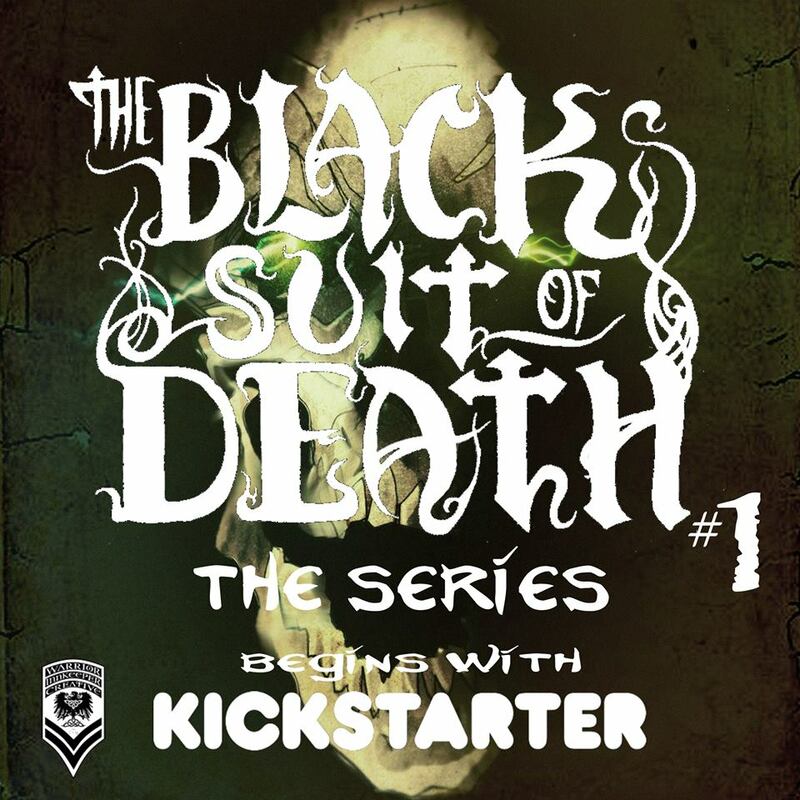 At Northwest Comic Fest, I was fortunate to have a table next to Kreger and he stunned me by gifting me with a draft of the script for the first issue of The Black Suit of Death: The Series. This is the first time I've been able to read and provide a review on an advanced reading copy or script, so I am very honored to be able to do this. "La Forza del Destino: Part 1"
Like many beginnings of series', you have to introduce your cast of characters so that the reader is aware of what they're getting themselves in to and to help develop a bond between them. Part 1 is that introduction to the cast that will play for the rest of the ongoing story. We begin with a small group of friends, who also happen to be tabletop gamers. The setting for the events that unfold is Scottsdale Community College. We have the core group made of 4 guys and the requisite girl. Unfortunately for our main character, EDD, the girl in question, KRISS, happens to be the catalyst for the drama that brings all the players from fantasy to reality. Kreger and Ellsworth's description of characters at the beginning of the script allowed me to be able to easily visualize them as I read. Each character was individually defined well and I felt as though I had met some of them before... being a gamer myself. In that same vein, I loved the way the opening scenes were laid-out as we saw the characters of the comic as their characters in game facing a red dragon. I look forward to seeing the art that comes along with this script. I'm not familiar with Dexter Wee... who is on-tap to do the pencils and inks... or Jeremy Kahn... who will be handling the colors... but if the artwork that has been posted on the Kickstarter is any indication, I'm confident they'll make some fantastic work from this script. The one thing I found lacking in reading this was the lack of the actual BSD... but I understand that this is the character development portion and that my desire to see how EDD and the BSD come together will be resolved in the next issue or two. It should also be noted that this comic is intended for more mature readers. The characters are in their late teens to early 20's so they occasionally use "colorful metaphors". 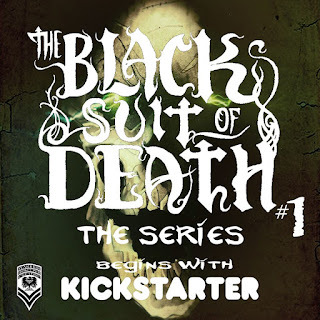 I have NEVER backed a Kickstarter campaign in my life until I saw The Black Suit of Death campaign. I genuinely enjoyed Ides of March and look forward to the continued adventures of the BSD. I have backed this campaign, and I urge you to do the same.